This project was a perfect example of how a well design loft conversion can add useful space and value to your home. This property finished with a modern and spacious top floor, with plenty of natural light. 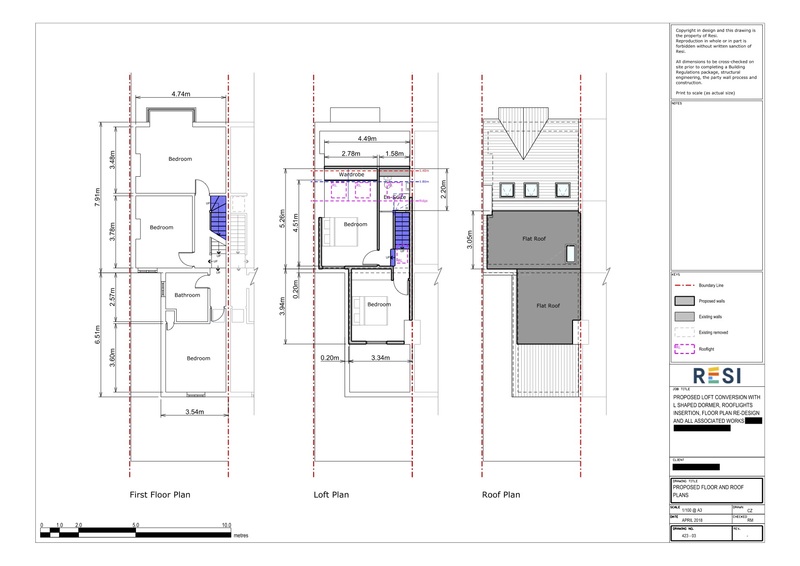 This project was carried out under a Lawful Development Certificate (meaning the homeowner was operating under their permitted development rights), which was granted on 12th June 2018. *Costs will vary depending on your choice of contractor and your location. Always get multiple quotes to ensure competitive pricing. This estimate does not include internal finish such as furniture and flooring. 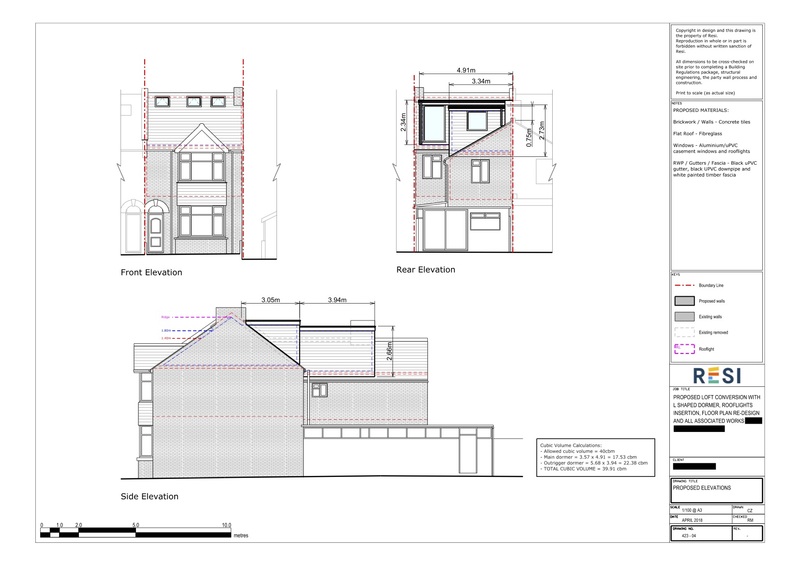 Our client was looking to undergo a loft conversion, through an L-shaped dormer extension. This needed to hold two bedrooms with one shower room, and all was to be carried out in accordance with a modern style. Some internal alterations were required for the first floor, in order to accommodate a new loft staircase. I divided the loft space into two bedrooms, one with an ensuite. This master bedroom had a walk-in wardrobe, floor to ceiling glass window, and was fitted with two skylights and a skylight for the ensuite. I removed the skylight above the first floor stairs, and placed the loft staircase adjacent to this.